Accommodation is available both on-campus and off-site at nearby hotels. Stay close to the action in residence or at one of the nearby fully-furnished townhouses. Residence rooms are equipped with a single bed, desk and closet, with shared kitchenette and washroom facilitates. Townhouses include the above as well as additional bedrooms, one shared bathroom, and a full kitchen (dishes not included). Additionally, townhouses are the only residence buildings equipped with central air conditioning. Please book on-campus accommodation online. Note: On-campus parking does not need to be purchased if you are staying on-campus. Located just one block south of the University, Days Inn offers you our newly renovated guest rooms with all the conveniences of home; coffee maker, hairdryer, iron and board, all at an affordable rate. Start your day off right with our Complimentary Daybreak Café Breakfast! The Days Inn offers free parking, wireless high-speed internet and local phone calls. For reservations, please call 519-822-9112. or book online. 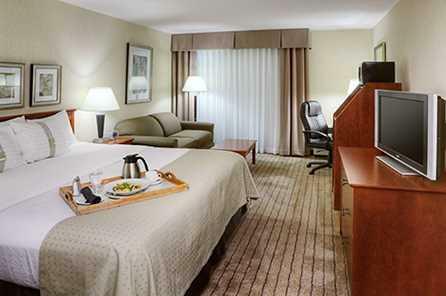 The Holiday Inn Guelph Hotel & Conference Centre is located 1.6 kilometers west of the University of Guelph (5-minute drive) and across the street from Guelph’s Stone Road Mall and conveniently located within walking distance to many restaurants. It offers complimentary parking, Elements on Stone Restaurant and Lounge, an indoor pool, sauna and fitness center. For reservations, please call 519-836-0231 or book online. Delta Guelph Hotel and Conference Centre is located at the corner of Stone Road & Gordon Street and is located on University property. 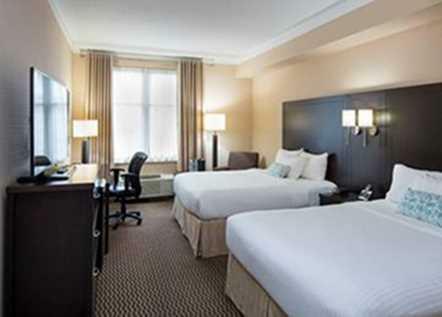 Guelph’s only 4-star hotel features 148 contemporary guest rooms & suites with onsite fitness. Guests also enjoy complimentary access to Movati Athletic. Please note, there is an additional parking fee. To make a reservation, please call directly at 519-780-3700 or book online.